Laurence joined Watsi on December 9th, 2014. 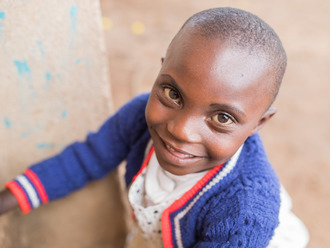 Four years ago, Laurence became the 761st member to automatically support a new Watsi patient every month. Since then, 4,345 more people have become monthly donors! 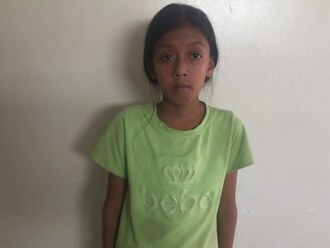 Laurence's most recent donation traveled 6,200 miles to support Srey Cheng, a girl from Cambodia, to fund ear surgery. Laurence has funded healthcare for 47 patients in 10 countries. Srey Cheng is a fourth-grade student from Cambodia. Her favorite subjects to study in school are math and science, and she hopes to become a doctor when she grows up. When she was four years old, Srey Cheng had an ear infection. This infection caused a cholesteatoma, or an abnormal skin growth, to develop in the middle ear behind the ear drum. For this reason, Srey Cheng experiences discharge, itchiness, headaches, and hearing loss. She experiences pain and difficulty hearing at school, which distracts her from her studies. Srey Cheng traveled to our medical partner's care center to receive treatment. On April 24, she will undergo a mastoidectomy procedure in her right ear. During this procedure, ENT surgeons will remove the cholesteatoma. Our medical partner, Children's Surgical Centre, is requesting $842 to fund this procedure. This covers medications, supplies, and inpatient care. She says, "I hope that after my surgery, I will be able to hear clearly and not worry about my ears anymore." Georgeline is a baby from Kenya. She was born with spina bifida, a type of neural tube defect in which the spine does not properly close around the spinal cord. Without treatment, Georgeline is at risk of lower-limb paralysis, infection of the exposed nervous tissue, development of tethered cord syndrome, and possible developmental delays. Our medical partner, African Mission Healthcare Foundation, is requesting $1,097 to cover the cost of Georgeline's spina bifida closure surgery. The procedure is scheduled to take place on March 26. This procedure will hopefully spare Georgeline from the risks associated with her condition, instead allowing her to grow and develop along a healthy trajectory. Agga is a 47-year-old monk from Burma. He lives with other monks at a monastery in Kamma, Thayet Township in Magway Division. Agga was diagnosed with a heart condition that involves a malformation of the mitral valve, the valve between the left atrium and left ventricle. This valve controls the flow of blood, but certain conditions may cause blood to flow backward or the valve to narrow. 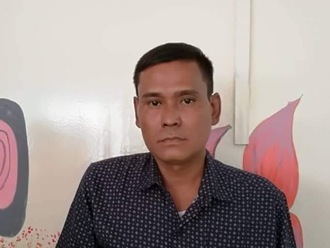 Our medical partner, Burma Children Medical Fund, is requesting $1,500 to fund a mitral valve replacement for Agga. The treatment is scheduled to take place on February 22 and, once completed, will hopefully allow him to live more comfortably. Agga said, “I am happy to receive assistance from your organization." Sun is a mechanic from Cambodia. He has two daughters and two sons. He likes to do housework at home. Seven months ago, he developed hip pain on his right side. He cannot walk and is in chronic pain. Fortunately, Sun learned about our medical partner, Children's Surgical Centre. At CSC, surgeons can perform a total hip replacement to relieve Sun of his pain and allow him to walk easily. Treatment is scheduled for November 5, and Sun needs help raising $1,025 to pay for this procedure. He says, "I hope I can return to work soon." Patrick is a father of four children from Kenya. He lives with his son, who is a laborer and supports him. His other children live with their grandfather. In 2007, Patrick was in a road accident and sustained only minor injuries. However, a spinal problem emerged ten years later when his cervical spine started developing problems. He had to stop working as a driver due to the condition. He complained of back pain and numbness in his limbs. He managed the pain with pain medication but soon realized that the condition was worsening. In May, Patrick underwent an MRI. He was diagnosed with cervical myelopathy, a degenerative condition caused by spinal compression and characterized by hand clumsiness and gait imbalance. Now, he needs to undergo a spinal fusion and decompression surgery. If not treated, he risks developing total disability. Fortunately, surgery is scheduled for November 20. He needs help raising $1,500 to fund the procedure. Patrick says, “My hope is to be treated, and regain my ability to earn and provide for my children. I am really suffering and I hope to fully recover." 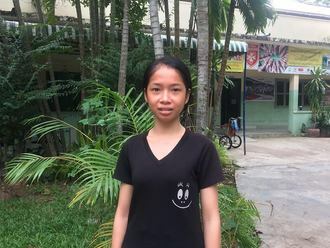 Yna is a young girl from Cambodia. She has a brother and four sisters. She likes learning the Khmer language and hopes to be a teacher someday. Ten years ago, Yna had an ear infection. This infection caused a cholesteatoma, or an abnormal skin growth, to develop in the middle ear behind the ear drum. For this reason, Yna experiences pain and tinnitus. It is difficult for her to hear and she has ear pain. Yna traveled to our medical partner's care center to receive treatment. On August 7, she will undergo a mastoidectomy procedure in her right ear. During this procedure, ENT surgeons will remove the cholesteatoma. Our medical partner, Children's Surgical Centre, is requesting $842 to fund this procedure. This covers medications, supplies, and inpatient care. Her mother says, "I worry about my daughter's ear problem and hope the surgery will be good." Kayleh is a child from Kenya. Her parents are subsistence farmers without an external source of income. Kayleh has been diagnosed with hydrocephalus, a condition in which excess cerebrospinal fluid accumulates in the brain and increases intracranial pressure. As a result of her condition, Kayleh has been experiencing a drastically increasing head circumference and irritability. Without treatment, Kayleh will experience severe physical and developmental delays. 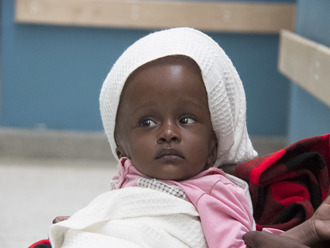 Our medical partner, African Mission Healthcare Foundation, is requesting $685 to cover the cost of surgery for Kayleh that will treat her hydrocephalus. The procedure is scheduled to take place on July 11 and will drain the excess fluid from Kayleh's brain. This will reduce intracranial pressure and greatly improve her quality of life. With proper treatment, Kayleh will hopefully develop into a strong, healthy young girl. “I am glad there is hope for my daughter’s treatment. I hope all goes well,” shares Kayleh’s mother. Justus is a baby from Kenya. He is the only child of his young parents. Justus was diagnosed with cryptorchidism, a condition in which one or both of the testicles remains undescended. If left untreated, Justus has an increased risk of developing hernias, testicular cancer, and fertility problems in the future. 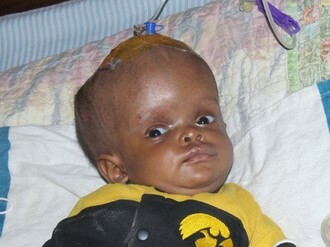 Justus will be receiving assistance from our medical partner, African Mission Healthcare Foundation (AMHF). Fortunately, he is scheduled to undergo corrective surgery on June 18. AMHF is requesting $459 to cover the total cost of his procedure and care. “This is our only child and I am worried about his future. I can’t wait to see him grow up like other normal boys," said Justus's mother. Peace is a five-year-old girl from Kenya. She is very polite and friendly. Her mother is a laborer. Unfortunately, her father passed away five years ago after a long illness. Peace has a condition called severe bilateral genu valgus, also known as knock knees. This means her knees bend and touch each other when her legs are straightened. This condition hinders her ability to walk and causes her pain. Fortunately, she is scheduled to undergo corrective orthopedic surgery at our medical partner's care center on May 24. This surgery will eliminate her pain and allow her to walk. Her mother needs help raising $1,165. “I will be happy if you help my daughter undergo surgery and later on join school," says her mother. Nathan is a toddler from Haiti. He lives with his mother and grandparents in a neighborhood of Port-au-Prince. He attends preschool, and loves learning about trucks and planes. Nathan has a cardiac condition called severe pulmonary stenosis. One of the four valves in his heart is too narrow, causing blood to back up into his heart and leading to hearth failure. If left untreated, this could be fatal. 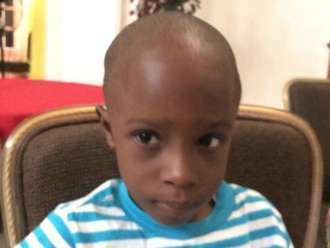 Nathan will fly to Cayman Islands to receive treatment. On April 7, he will undergo cardiac surgery. During the procedure, a balloon will be used to stretch Nathan's valve open to a more normal size. Another organization, Have a Heart Cayman, is contributing $15,000 to pay for surgery. Nathan's family also needs help to fund the costs of surgery prep. The $1,500 bill covers labs, medicines, and checkup and followup appointments. It also supports passport obtainment and the social workers from our medical partner, Haiti Cardiac Alliance, who will accompany Nathan's family overseas. His mother says, "Our family is so excited that Nathan can have this surgery and will no longer be in danger!"